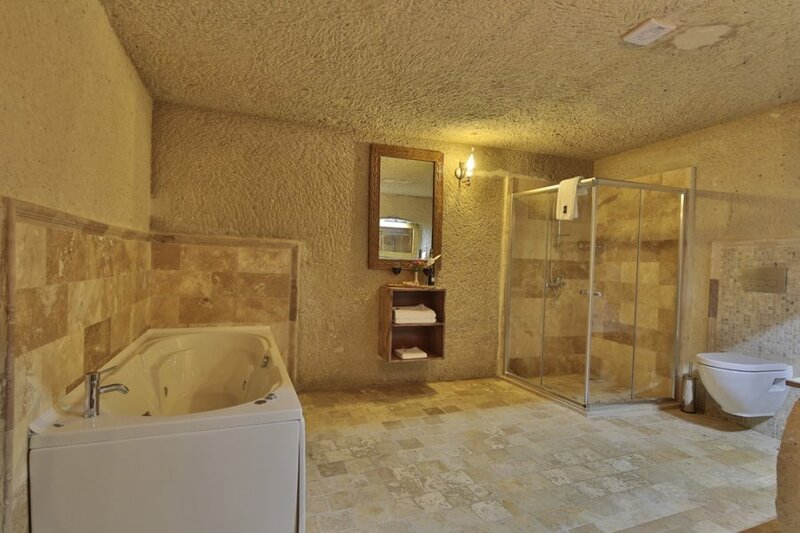 The perfect location for a little relaxation and exploration. 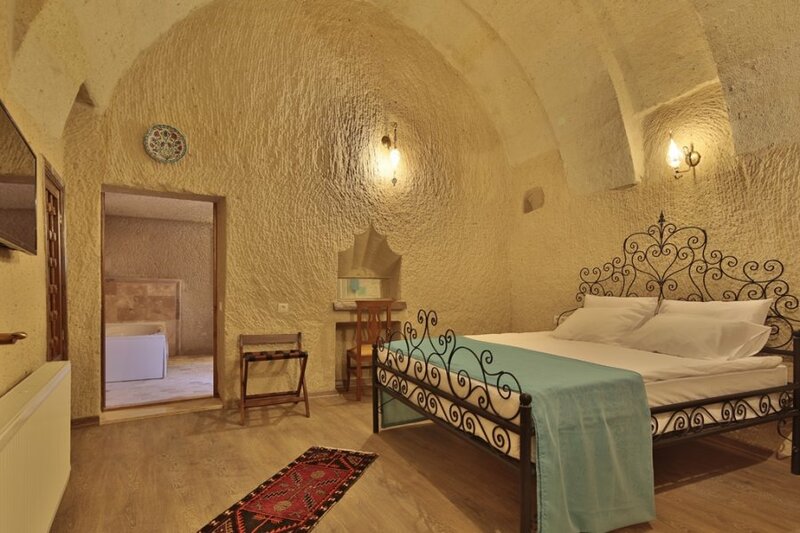 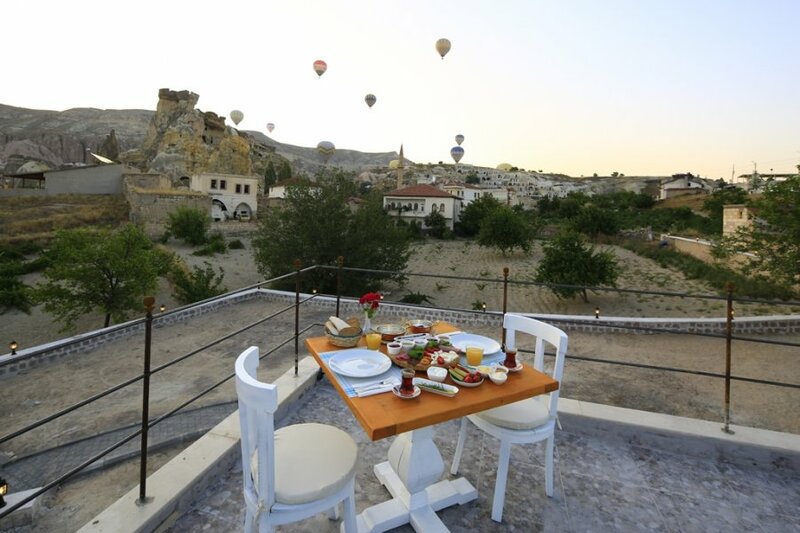 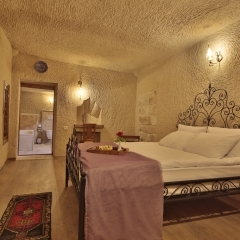 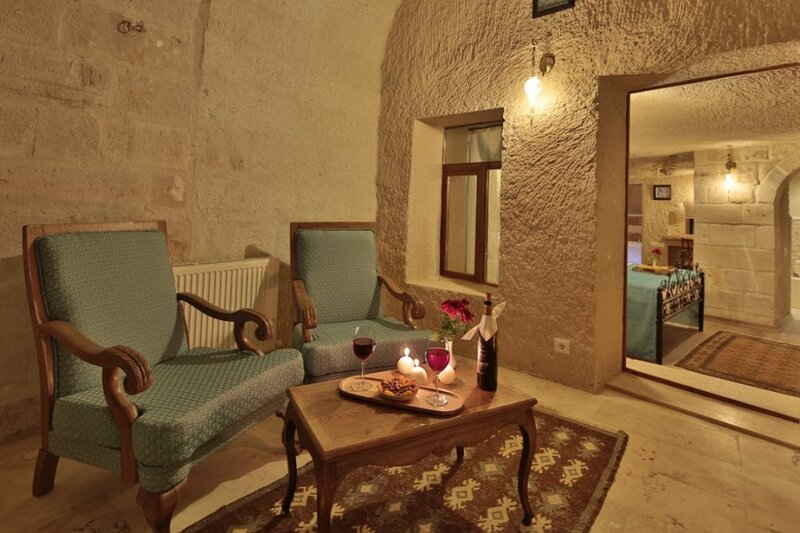 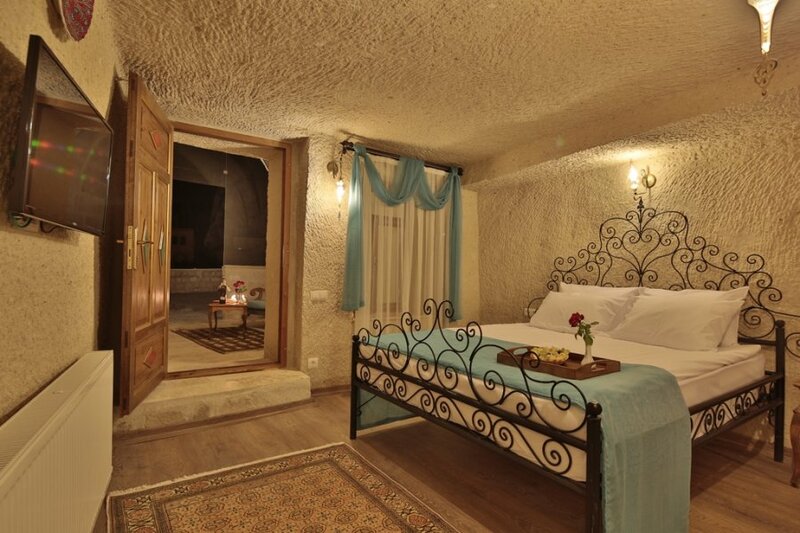 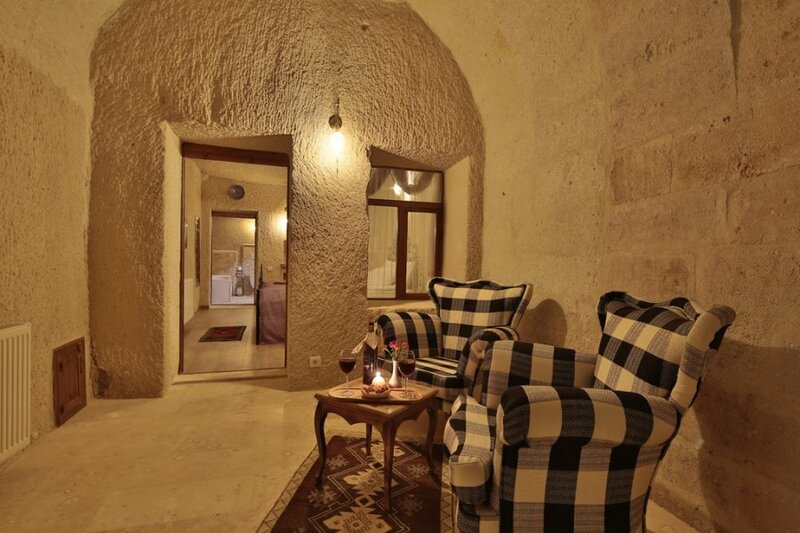 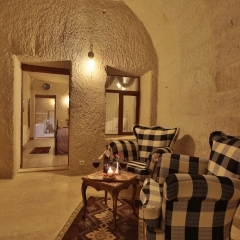 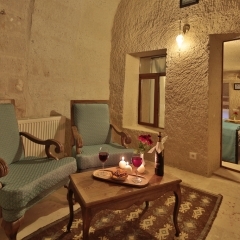 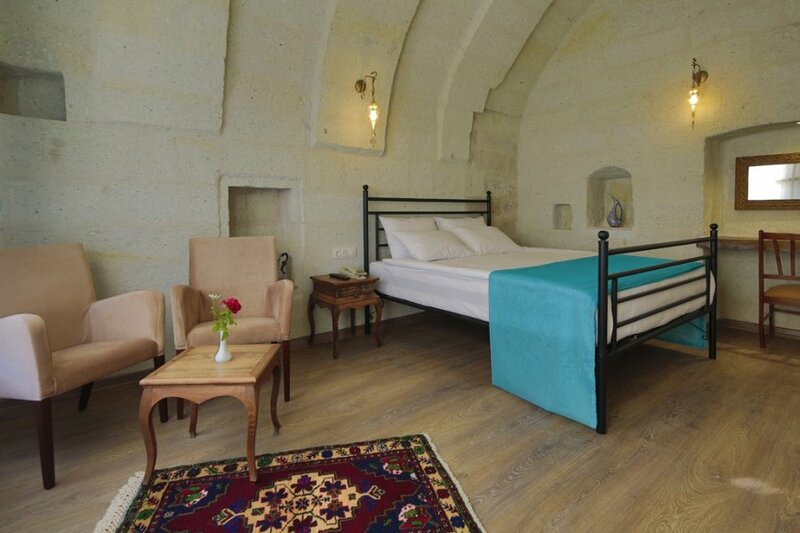 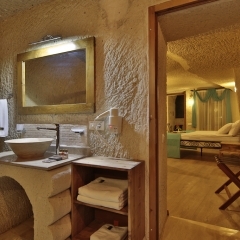 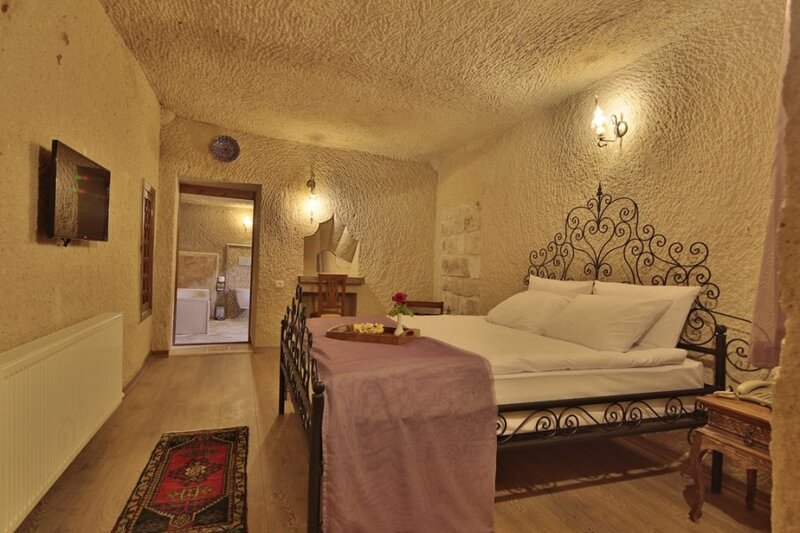 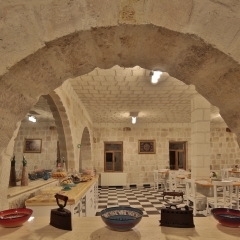 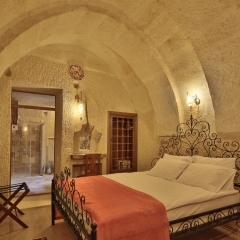 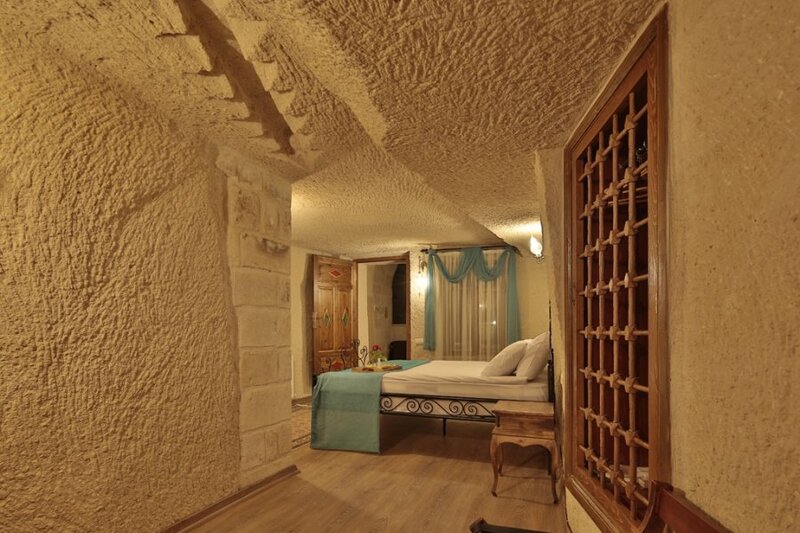 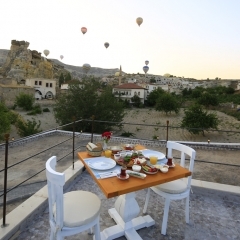 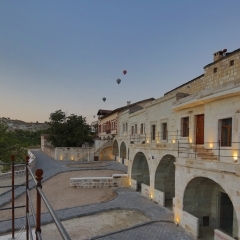 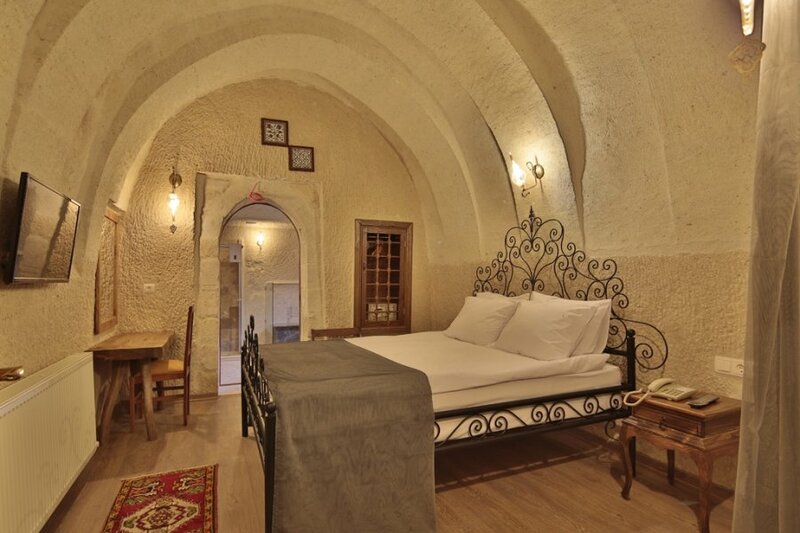 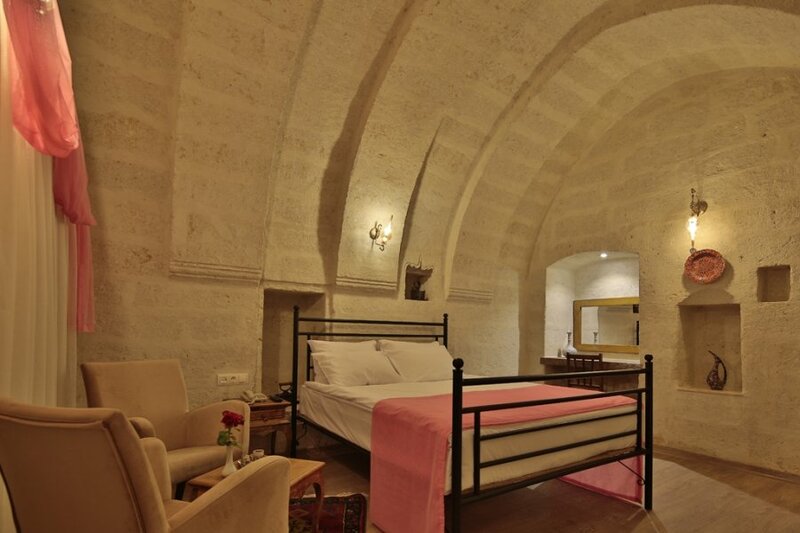 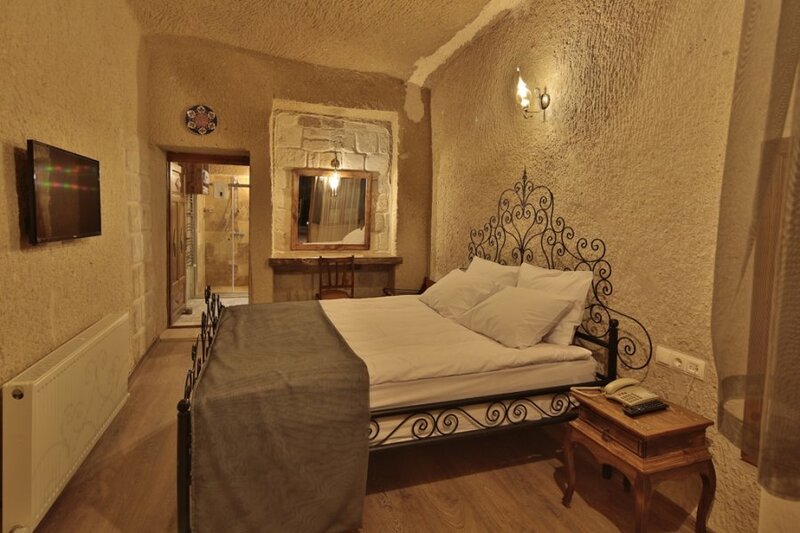 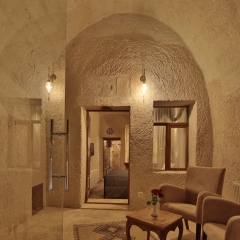 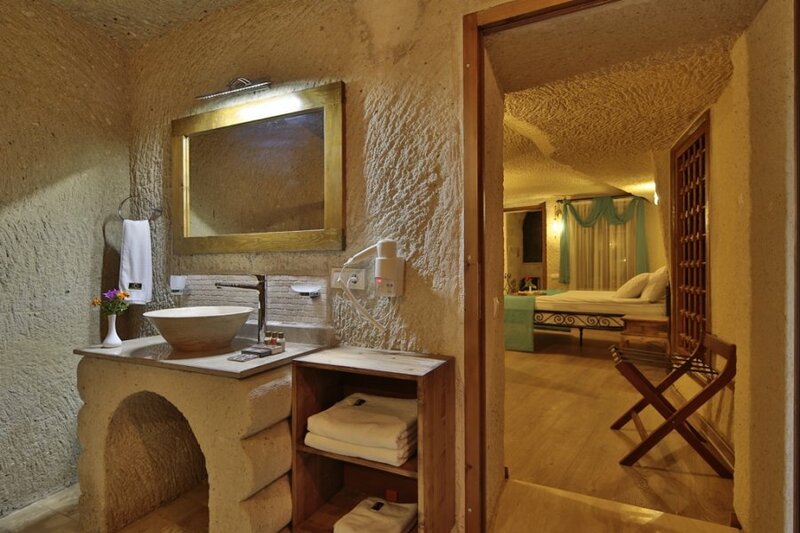 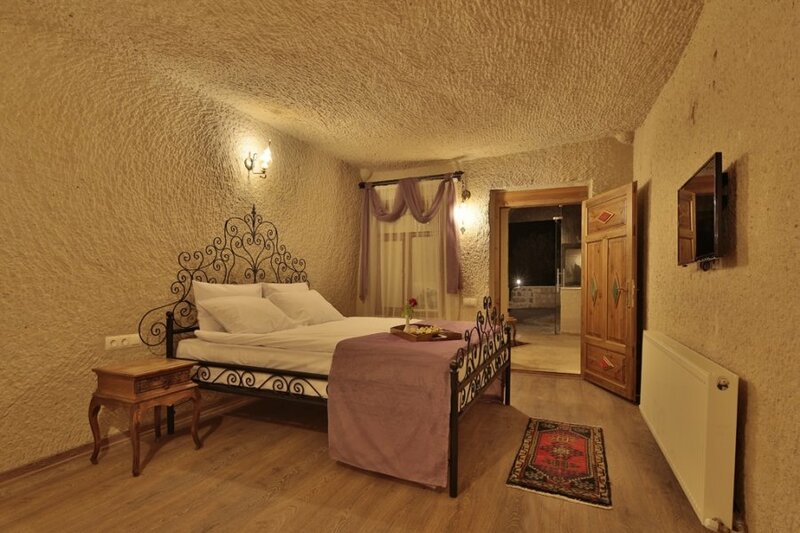 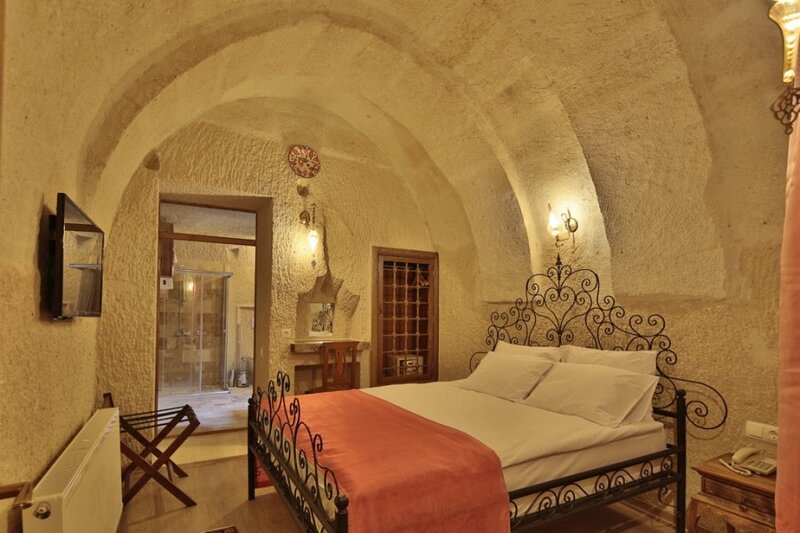 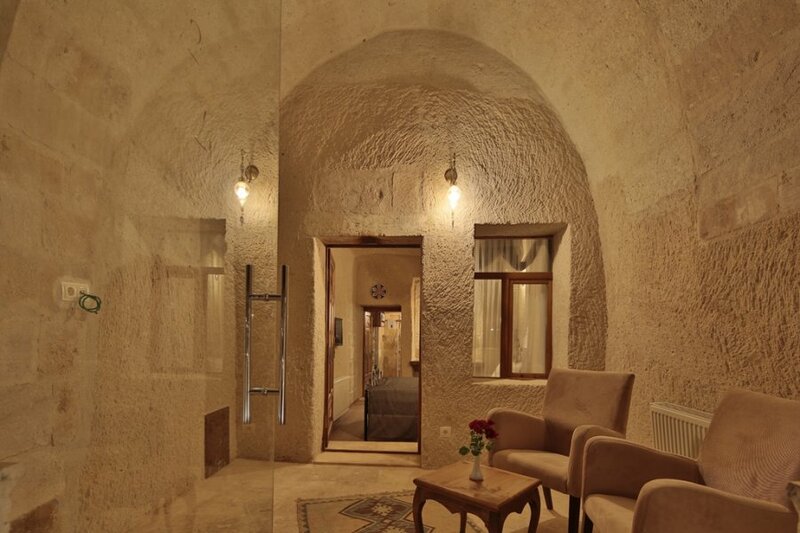 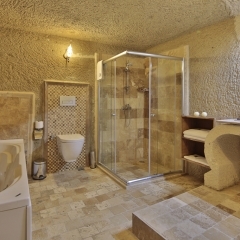 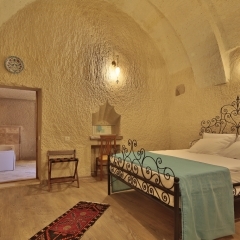 Jacob’s Cave Suites are situated in the centre of Goreme National Park in the Heart of the magnificent Cappadocia region. 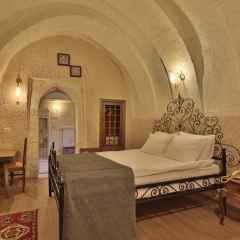 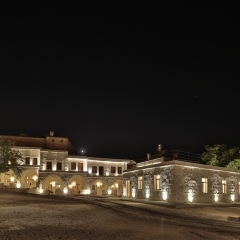 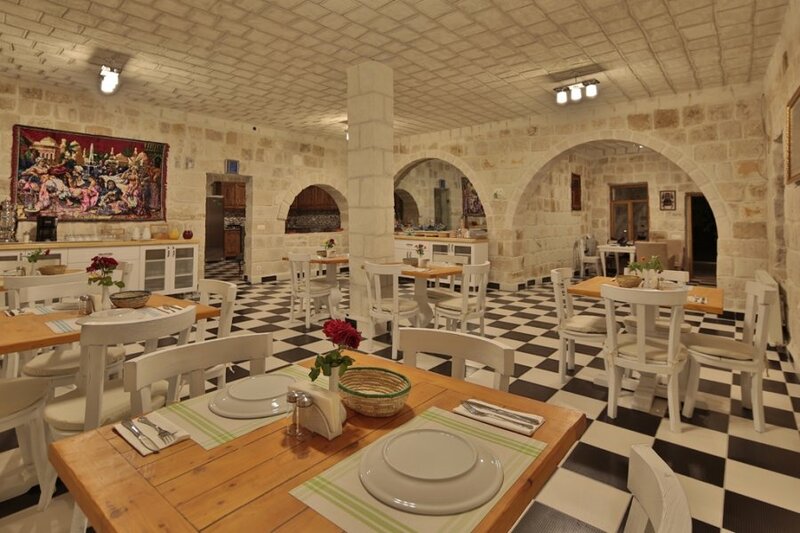 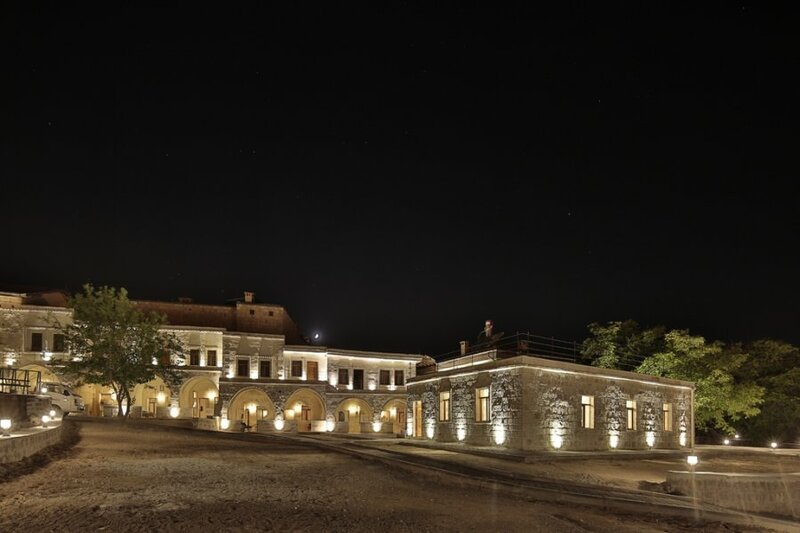 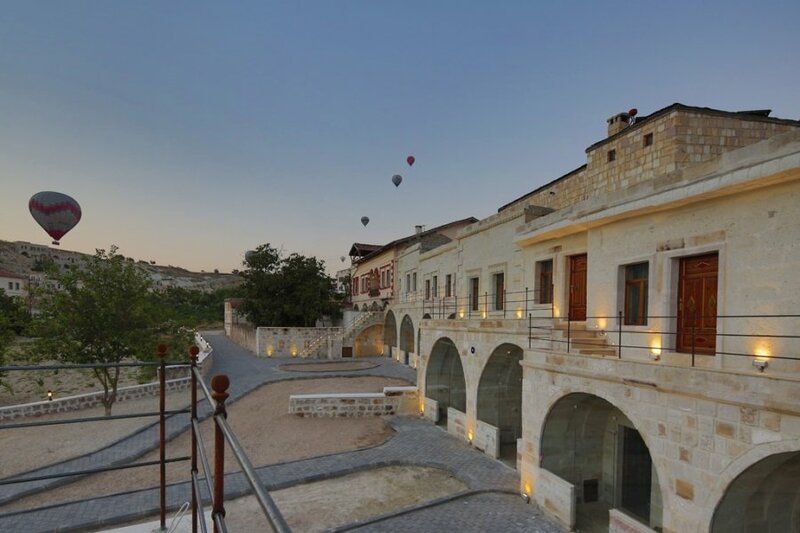 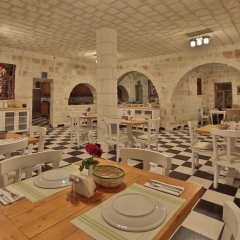 This boutique hotel just 200 m from John the Baptist Church, 300 m from Nicrophorus Church and 3.5 km from the Goreme Open Air Museum. 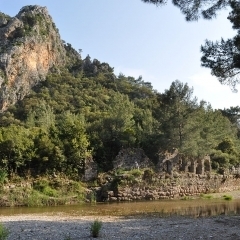 For active guests hiking trails through Red and Rose Valley begin just a few minutes away and the famous Monk’s Valley and Love Valley lay just outside the quiet village of Cavusin. 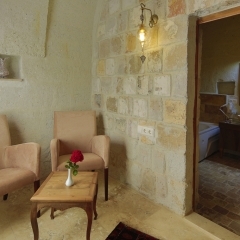 You will be welcome to chat to Jacob’s Cave Suite’s English speaking and friendly staff about the many things to do and see in the area. 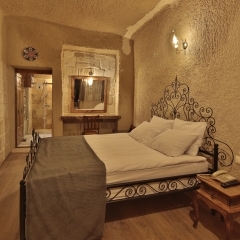 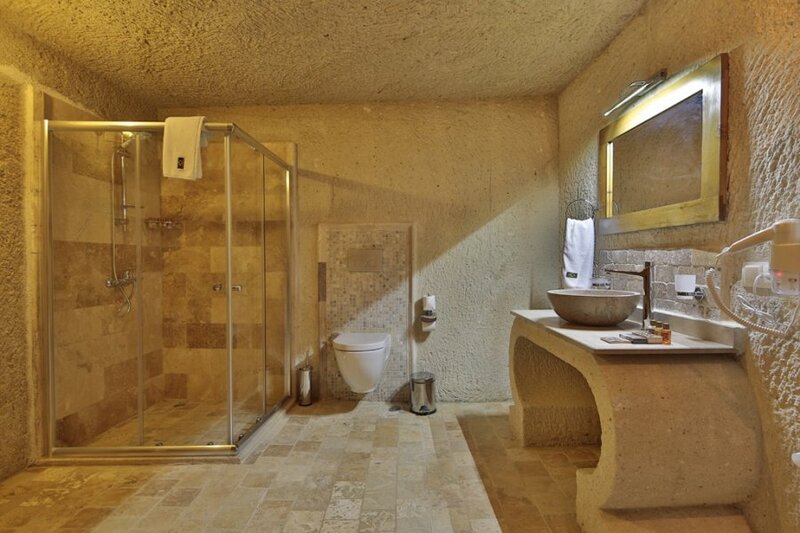 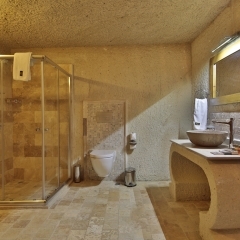 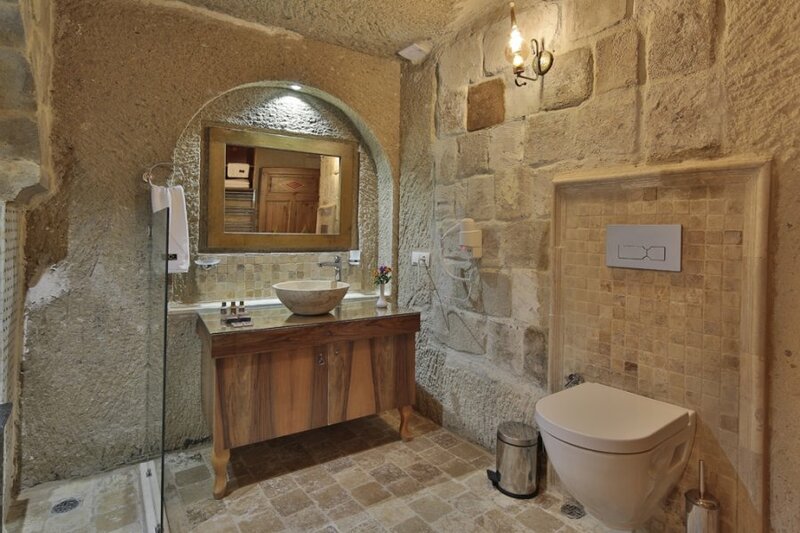 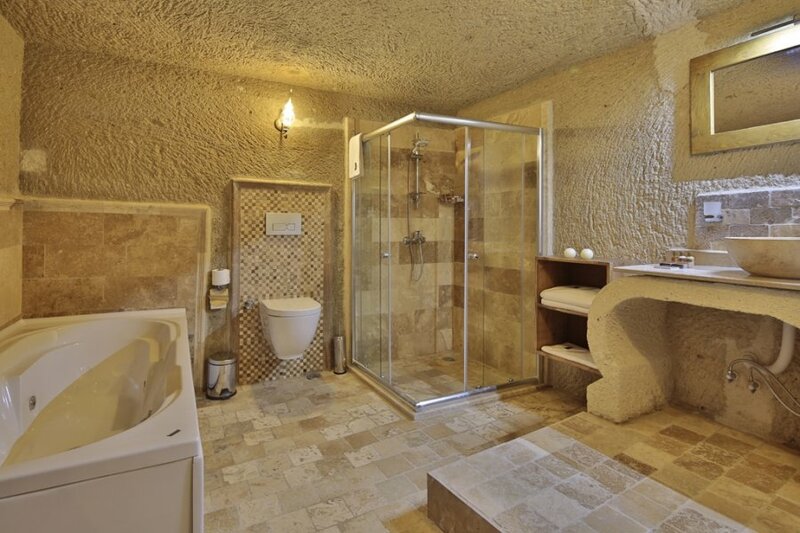 Jacob’s Cave Suites offers its guests memorable accommodation in original stone caves that have been carefully converted into comfortable suites. 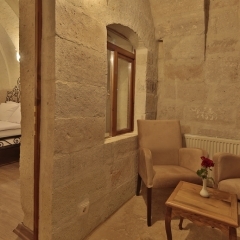 With a total of just 12 rooms, you will enjoy a cosy and familiar atmosphere. 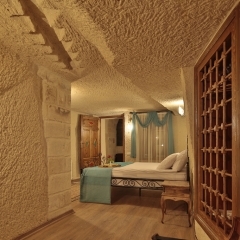 All suites are equipped with modern facilities including, free wifi, flat-screen satellite TV, phone, minibar and safe. 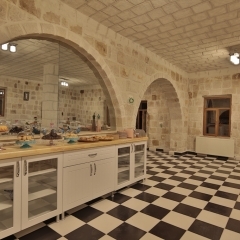 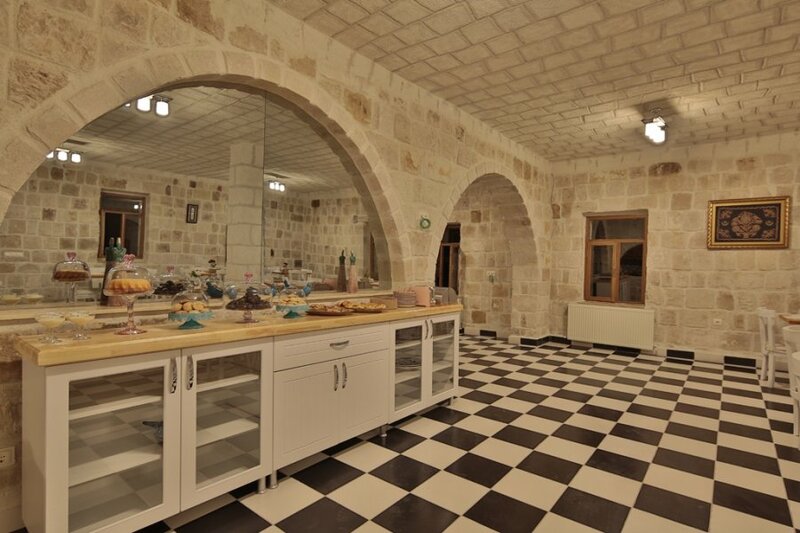 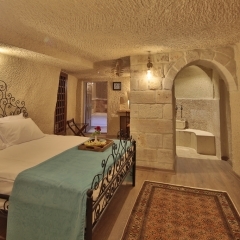 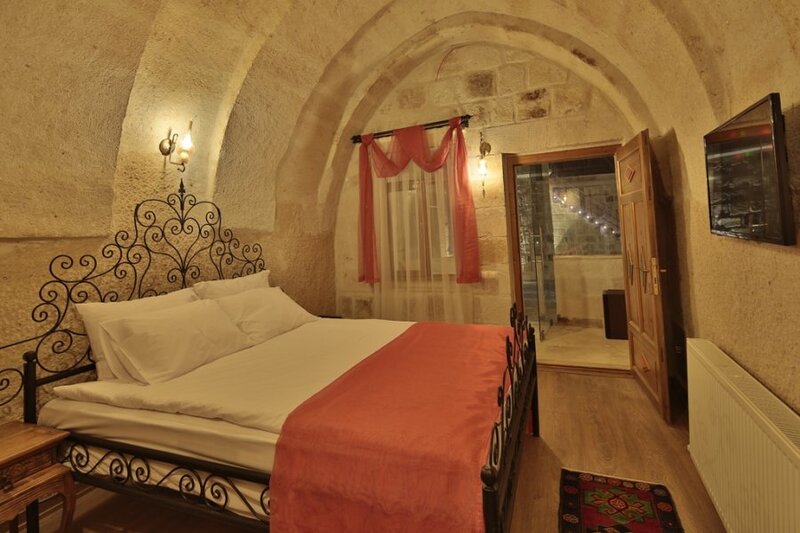 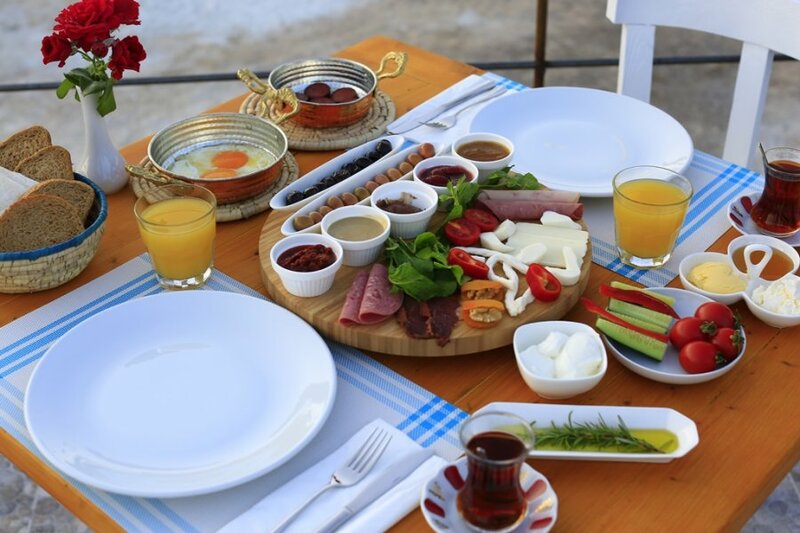 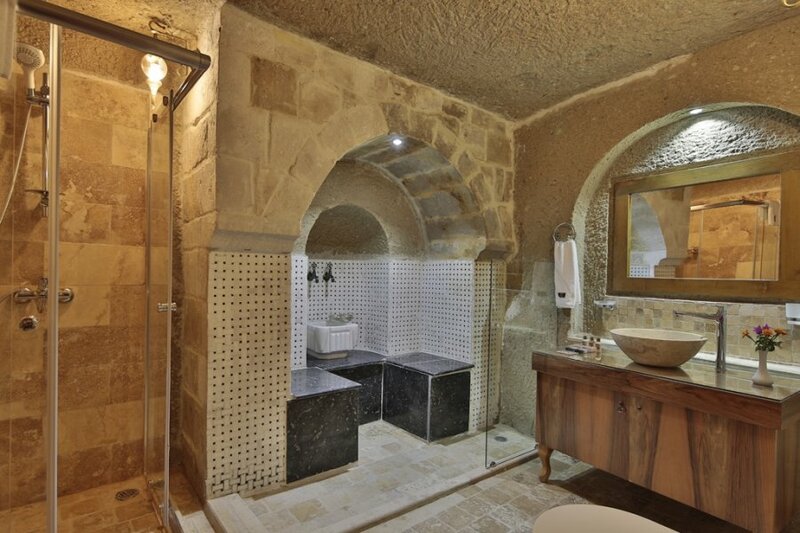 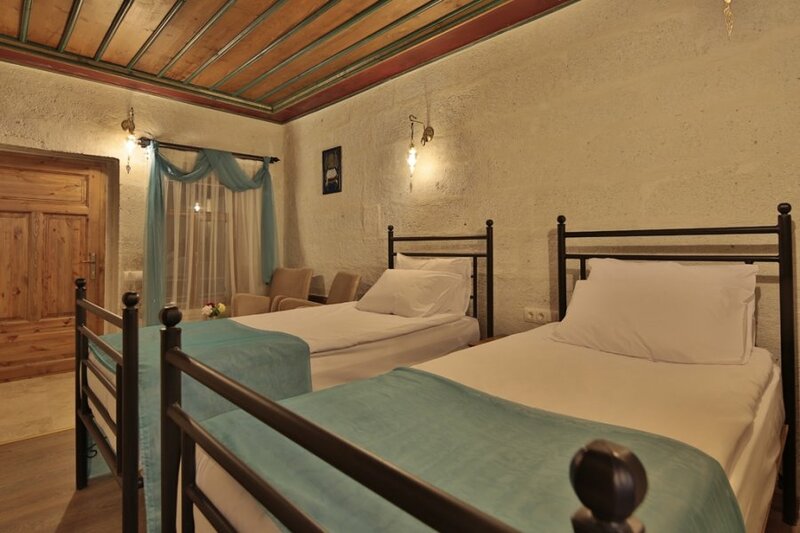 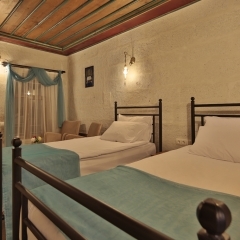 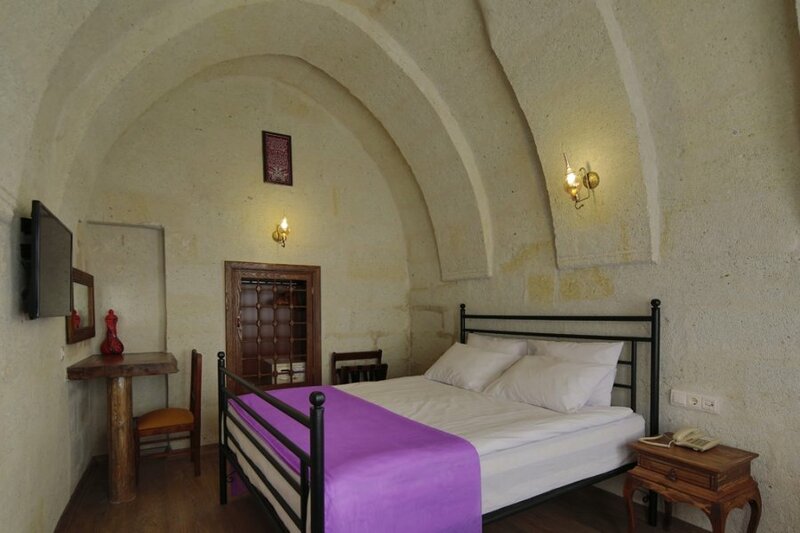 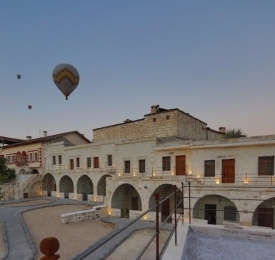 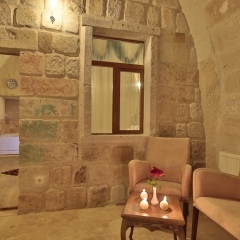 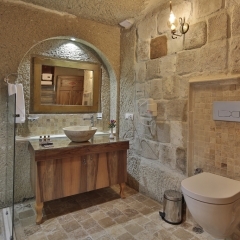 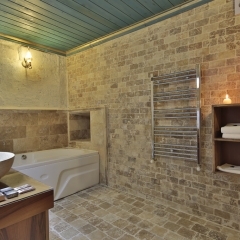 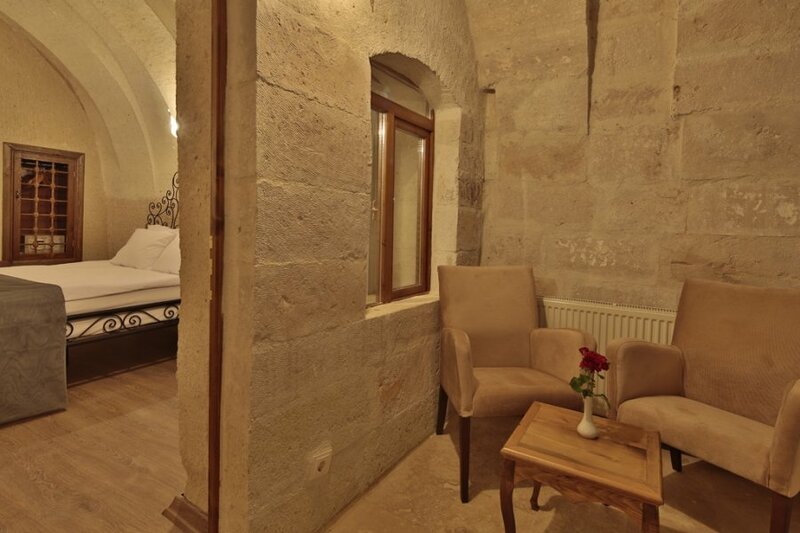 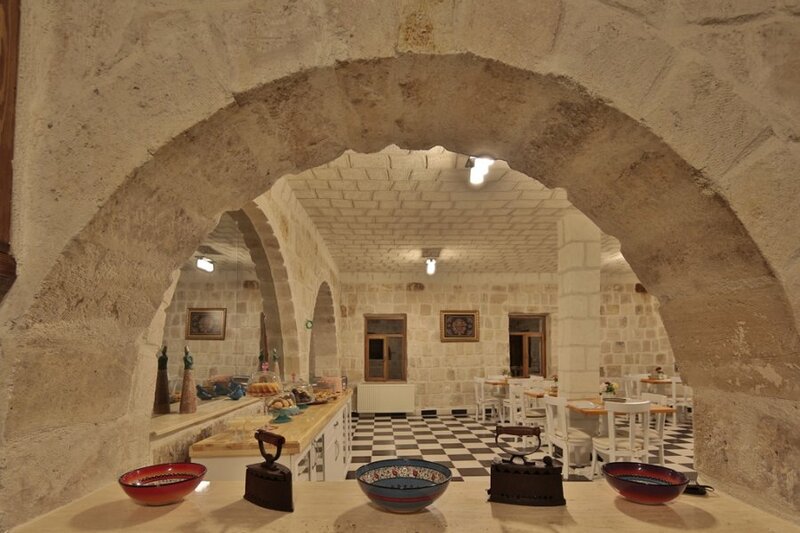 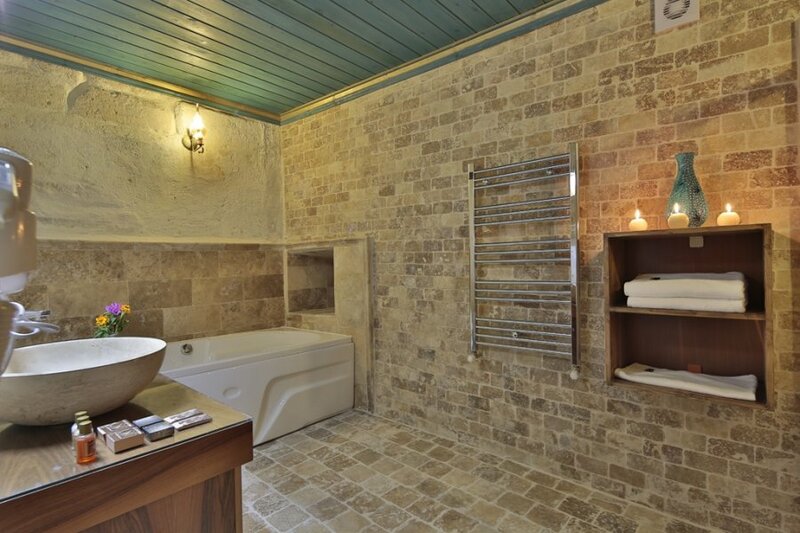 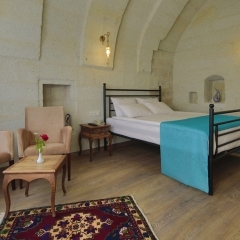 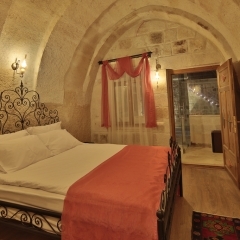 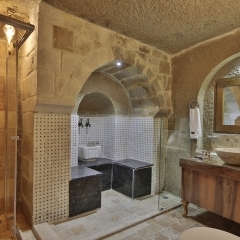 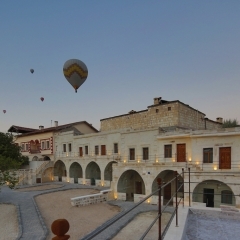 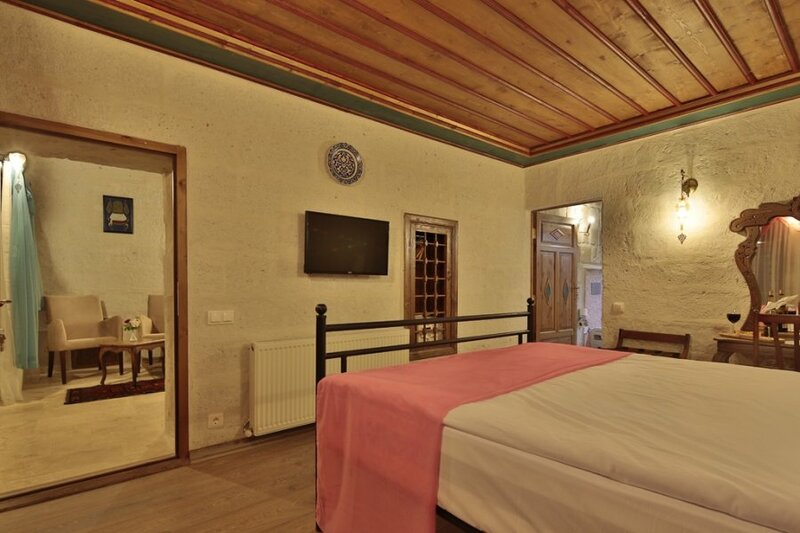 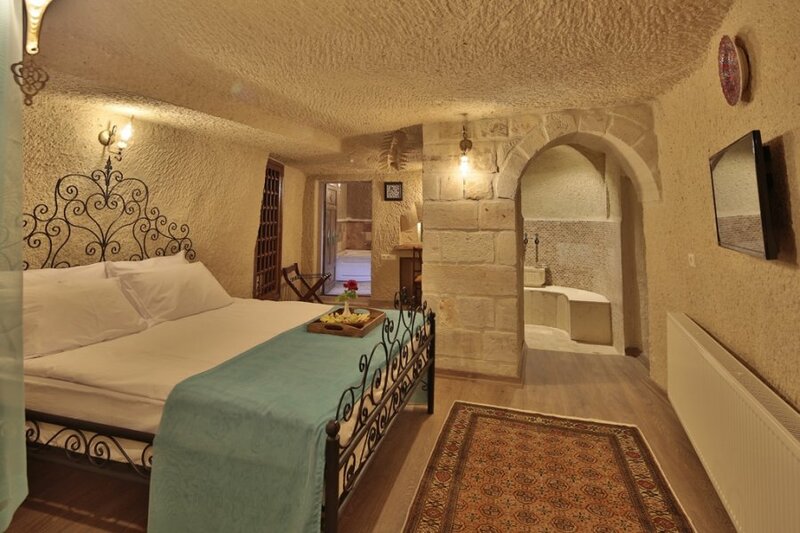 Junior Cave Suites have 3 spacious areas, a seating area at the entrance, a comfortable sleeping area with fine wood furnishings and an en-suite bathroom with mini Turkish Hamam. 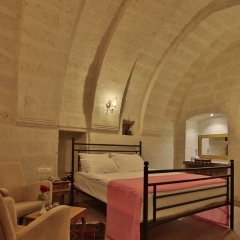 Choose from Cave suites or Stone Arched Suites, Junior or Deluxe, Family or Honeymoon Suites. 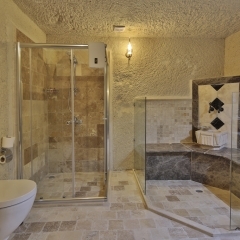 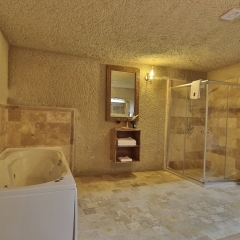 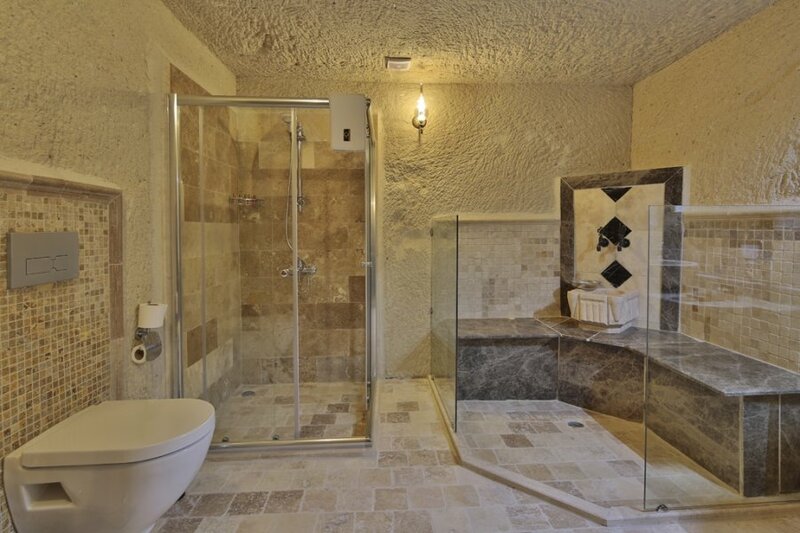 Some Suites also offer jacuzzi, balcony and mountain views. 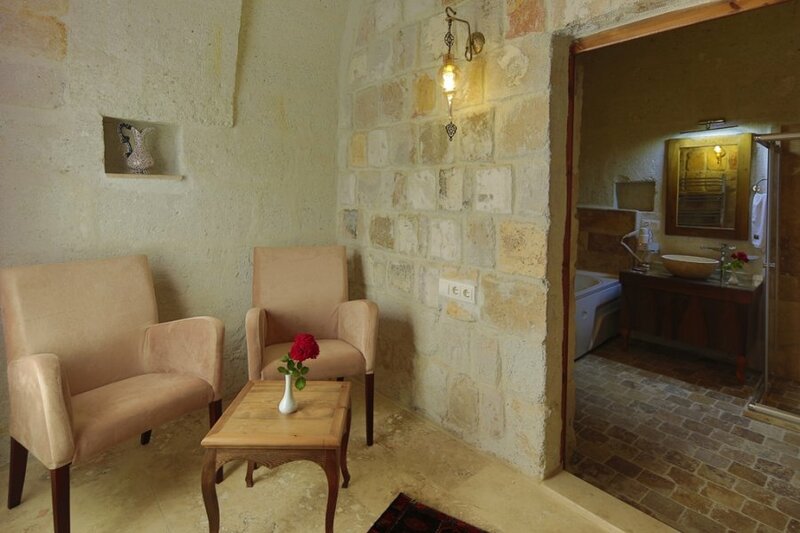 The boutique hotel boasts a large garden with terrace, 24 hour reception and an indoor and outdoor restaurant where you can enjoy your complimentary organic breakfast each morning and tea with homemade cookies in the afternoon. 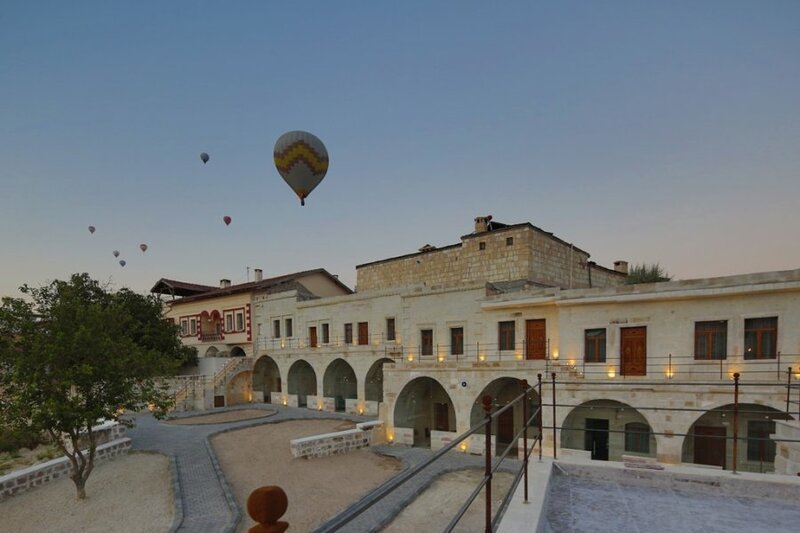 Take advantage of the stunning views of Cavusin Castle from the comfort of the hotel garden. 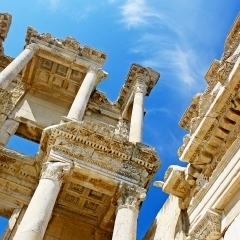 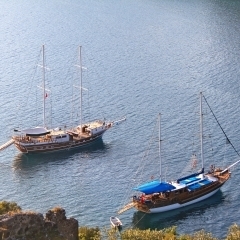 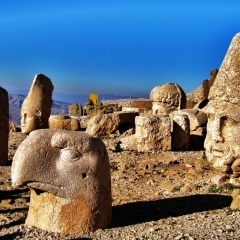 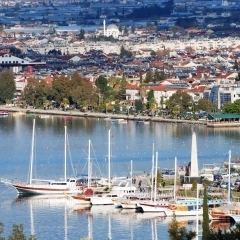 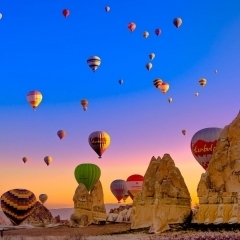 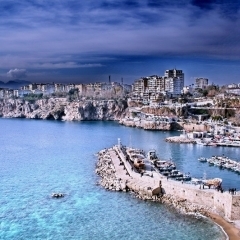 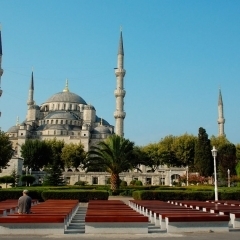 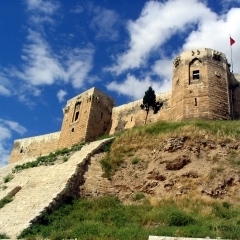 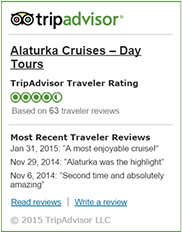 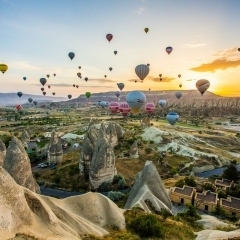 By Bus: There are direct daily buses to Cappadocia from Istanbul, Antalya and Ankara. 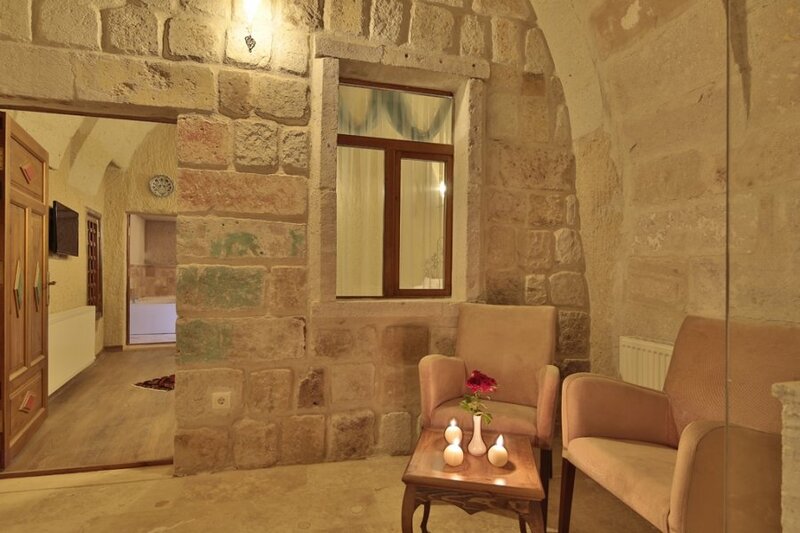 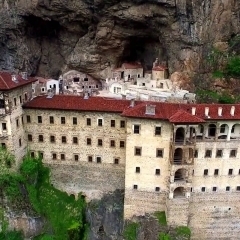 You can purchase a ticket to either Avanos Bus Station (2 km away) or Goreme Bus Station (3 km away), from here you can either take a taxi or call Jacob’s Cave Suites and one of their helpful staff members with come to pick you up. 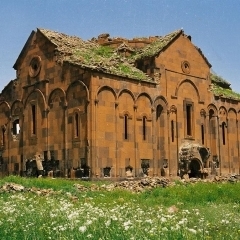 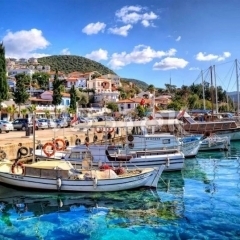 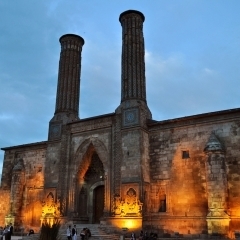 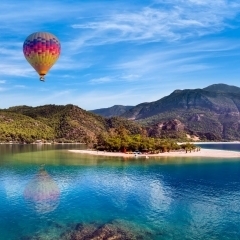 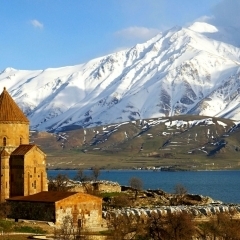 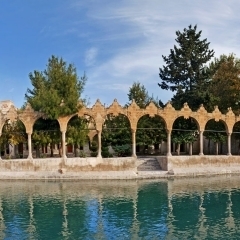 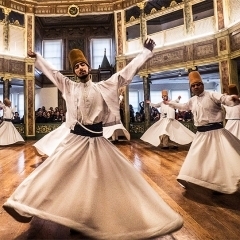 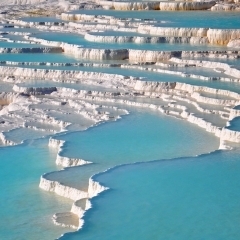 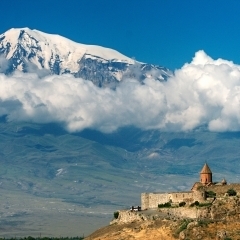 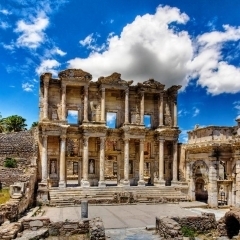 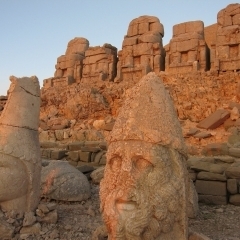 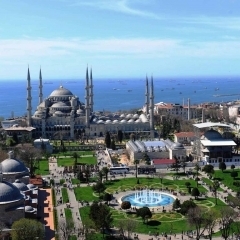 By Plane: You can fly from Istanbul, Ankara, Izmir or Antalya to either Kayseri Airport or Nevsehir Airport, from where it is just 45-60 minutes by car to Cavusin. 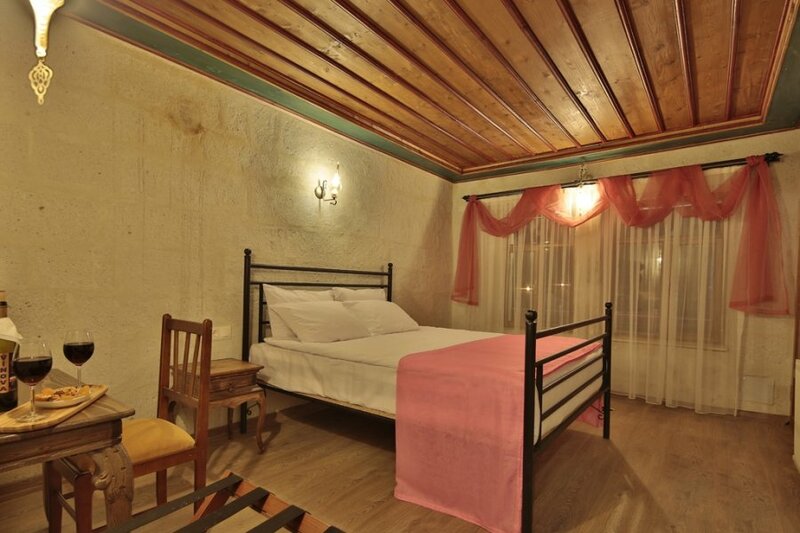 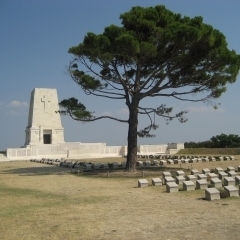 Contact the hotel in advance to arrange a private or shared transfer to the hotel or take a taxi.